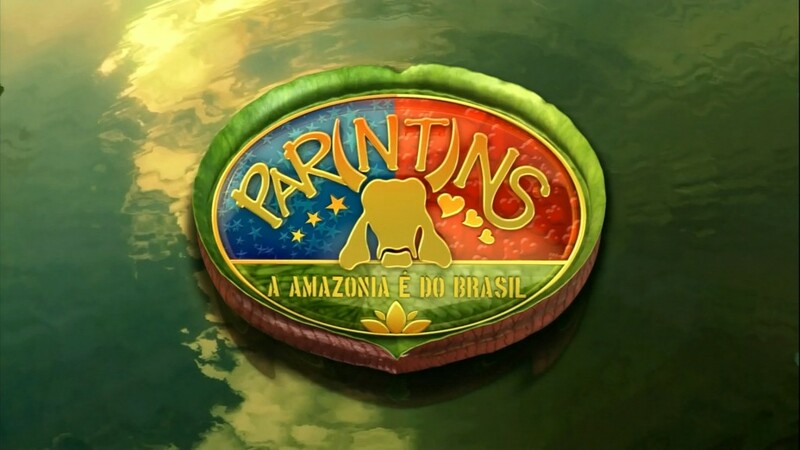 The second largest festival in Brazil, the Parintins Folklore Festival, is only dwarfed by the Carnival celebration in Rio de Janeiro. Called the Festival do Boi Bumbá it takes place for three days at the end of June. The festival is a competition between two teams, the Garantido and the Caprichoso. They each try to put on the best three hour show possible telling the story of the legend of the “bride and the ox”. Elaborate floats are constructed, intricate dances are choreographed and boisterous song provides the background for the elaborate displays.The CAPRICHOSO and GARANTIDO bumbás perform for six hours every night an authentic Amazon ritual. The figures of Father Francisco, Mother Catarina, Tribal chieftains, Cunhã Poranga (pretty young girl), shamans and their countless tribes talk about, legends indigenous rituals. People dance in cycles along with the sound of the chants and "palminha" instrument to the indigenous rhythm of cateretê, to the beat of carimbó (a hollow log drum) and to the marches.The Boi-Bumba is listed on the official Calendar of Events to be one of the highlights in Amazonas State. The captivating story of two disputing families will unfold before you - a dispute that resulted in a competition of two man-made bulls, one black and one white. Each family also presents a repentista, a singer who will challenge his counterpart to sing a better song or recite a better poem. With colorful costumes and samba sounds, this is truly a feast for the eyes and ears.The purpose of the competition is to tell the story of the legend by combining the local folklore and culture with modern national rhythms and themes. The competition takes place in a large spherical outdoor arena called the Bumbodromo. It can hold up to 35,000 spectators as well as press and television cameras. This festival has become a very popular show to watch on TV all over Brazil. What was one a small friendly competition between neighbors has grown by incredible proportions. Visitors from all over Brazil now flock to this small Amazonian city.The flight from Manaus takes less than an hour. Those who prefer a boat ride on the Amazon River must be ready for a 20 to 30h trip. Most boats have hammocks where the passengers can sleep. There are extra lines to Parintins in the days that precede the festival, and it's easy to find a seat – or a net – in one of them.There is a wide range of accommodations in Parintins, from low-end hotels to cabins in fancy boats. There are also houses that can be rented during Festival days.Reservations for hotels, plane or boat tickets and Bumbódromo tickets should be placed in advance, since the Festival is the second largest folklore event in the country.The Festival has become infused with modern day technology. Coke has become a major sponsor and the television cameras fight with spectators for space in the Bumbodromo. As a result of the international publicity the competition has become fiercer and more spectacular. During this three-day event in late June, two teams compete in a spectacle unrivaled even by Carnival standards. Also known as Boi Bumba or Ox Bang Up, the competition is about whom tells the story of the lady and the ox most effectively. With floats several stories high, intricate dances and spectacular costumes, bulls prance round the stage to moos and hurrahs. These bulls are actually men dressed as the Capricious Ox (Caprichoso Boi) and Garantido Boi (Guaranteed Ox), the two rival teams. The event takes place in the 35,000 seat Bumbodromo arena. The arena itself was built only for this event and quite appropriately is in the shape of a bull’s head. The people of the city take this competition quite seriously. As a matter of fact the city was built around this legend. Those who favored the Capricious Ox set up housekeeping on one side of the city and colored everything blue. The rival Guaranteed Ox fans built their homes on the opposite side of city and painted their buildings red. The red and blue colors still exist today. In fact, one of the corporate sponsors, Coke, was forced to make their signs in blue similar to Pepsi’s colors because the blue team fans refused to buy a can of Coke as it was red. Chartered flights and riverboats bring spectators to the city during the Festival. Bands set up stages in the center of town and give free concerts. Dance instructors show the crowds how to perform the many traditional dances that are typical at the Festival. Throughout the night beer and liquor flow freely and parties are constantly held in the neighborhoods and on the visiting river barges. During the day, pedicabs run around the city taking visitors on tours of the major attractions. The competition is based on the legend of a resurrected bull. As the story goes, a pregnant newlywed Catarina, craving ox tongue asked her husband, Frederico, to kill his bosses prized ox bull. Agreeing to her wishes he kills the bull and brings her its tongue. His boss vows revenge on the one who killed the ox. Her husband, Francisco, fearing punishment asks a priest and a shamen to resurrect the ox. After much ceremony the ox is brought back to life.People are very serious about taking sides in Parintins. Everybody in town has roots that go all the way up to one of the teams, and there is no compromise between them. You can never ever support the wrong Boi – for if you do so, the opposite Boi could win. Even with such strong feelings, hooligans have no place here. Whenever one side is performing, the other maintains complete silence.In the morning of the fourth day, the winner is announced, after which the fans and supporters of the winning Boi parade around town. Both sides are swept in emotion, but the police is on the watch and prevents any disorderly behavior.This spectacular competition is akin to the Super Bowl in the United States or the World Soccer Cup competition. Fans paint their bodies blue or red depending on their favorite team. Red and blue flags are flown and neighbor will refuse to speak to neighbor if they are on opposite sides. It has become so popular that national and international television has begun to film the event. The addition of sponsors, while injecting commercialism into the proceedings, has helped the city build health care facilities, paved roads and a new resort facility.